Are you shopping for a rugged, impressive mid-size truck? You will make quite an impression in the big and rugged 2016 Nissan Frontier. It has no equal in its class for capabilities, quality, and comfort. At Woody Folsom Nissan of Vidalia, GA we stock the latest Nissan pickups including all of the 2016 Nissan Frontiers. Our mission is to help you find the perfect truck and take it on the road with a sense of excitement. Check our current inventory online anytime. Or, pay us a visit in person. We are just down the road at 1609 East First St in GA, where we are ready to set you up for a test drive in your future truck today! The Nissan Frontier offers great performance in a small truck. Five Frontier models offer two engine options. The base 2.5-liter four cylinder engine produces 152 horsepower and delivers an EPA-estimated 23 mpg highway and 19 mpg city, with the standard manual transmission. Truck buyers who want more power can get a 4.0-liter 24-valve DOHC V6 that produces 261 horsepower. All pickups are made for towing and carrying things, so you should know that the base 4-cylinder model can tow up to 3,500 pounds or carry up to 953 pounds. If you need to go off-road regularly, the available 4X4 drivetrain offers the traction and grip you will need. In either drivetrain version, the Frontier offers excellent ground clearance and options like a skid plate to protect the transfer case, so you can go off-road with confidence. With the modern suspension, drivetrain and accessories like oil cooling you can count on any of the Nissan Frontiers to work hard and deliver reliable performance on the road or off. Nissan makes safety a priority in all of its vehicles. 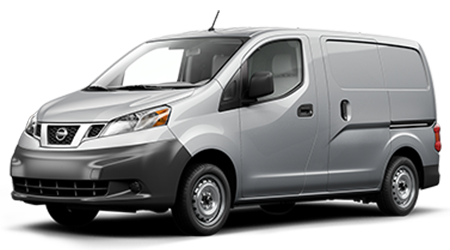 The Frontier reflects that safety orientation with its long list of standard and optional safety features. The advanced body and chassis design keep the truck's passengers safe. Inside, active head restraints, roof-mounted airbags, and other airbags protect the occupants. Buyers with infants and toddlers are sure to like the LATCH system for anchoring child safety seats. When on the road, vehicle dynamic control, tire pressure monitoring, anti-lock brakes, and electronic brake-force distribution helps you stay on the road and in control. A security system is either standard or an option on most Frontiers, depending on the model. Some Frontiers offer an available vehicle immobilizer too. In short, you can drive your Frontier with confidence in all kinds of conditions! 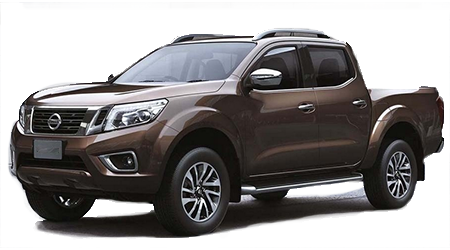 The impressive stats on the Frontier make it clear that Nissan has the competition beaten. At Woody Folsom Nissan of Vidalia, GA, we look forward to showing you our extensive selection of models, and truck that's the best fit for you. Feel free to check out our current inventory online, or come by our showroom at 1609 East First St in Vidalia, GA. We are close to pickup buyers in Vidalia, Georgia, Ailey, Soperton, McRae, Lyons, and Swainsboro. We look forward to helping you find the perfect Nissan truck!